Kurija Janković was built during the 19th century in a spirit of calm historicism and is one of the most elegant noble mansions in Virovitica-Podravina County. 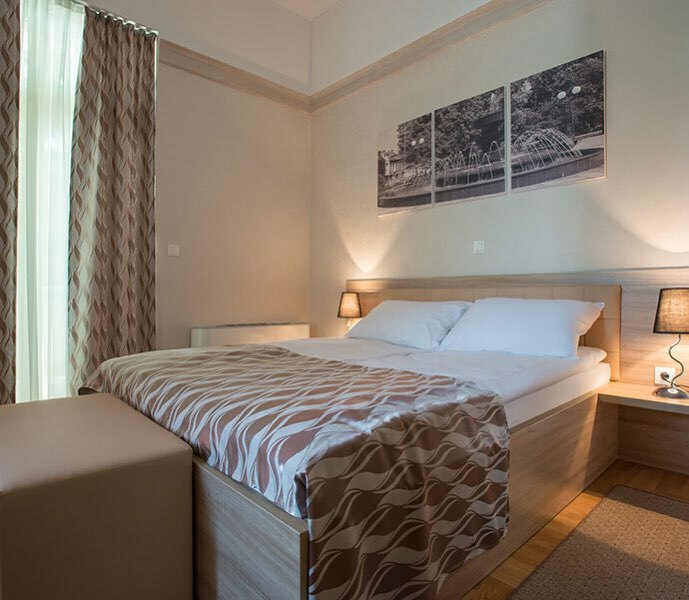 The hotel is located in a place where Slavonia meets Podravina and is surrounded by Mura-Drava-Danube UNESCO Biosphere Reserve. 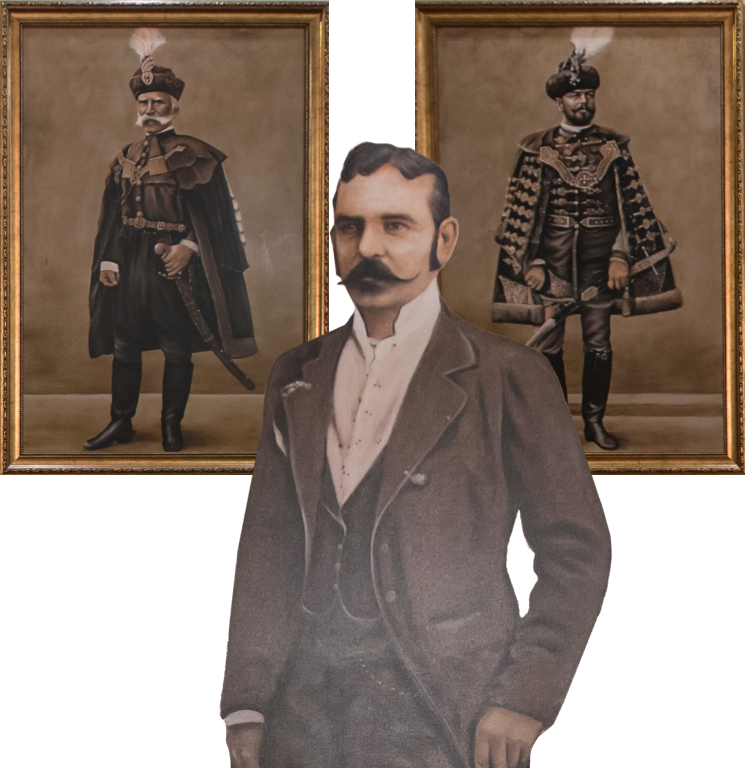 During XIX century in Virovitica-Podravina County various noble families were building their castles, manors and villas. Curia Jankovic is situated in the village Kapela Dvor, Lukač municipality, 7 km north of Virovitica. The manor was built in the early 19th century. However, today’s qualities are gained mainly at the time of the owner Geza pl. Jankovic around 1880. The manor was the residence of the Lukač pine manor. The manor, outbuildings and gardens were spreading through 4.5 hectares of land. From the park landscape there only remained few trees today (tulip, linden, larch …). The estate and manor Kapela Dvor in early 20th century was bought by Arpad I Karolyi who made minor modifications and upgrades on the building. In his time the manor was known for the cultivation of asparagus and riding horses. After his death (around 1930), Lukač estate was inherited by his children Ferenz, Arpad II and Elizabeth. After family Karolyi moved to Zagreb in 1939, the estate was owned by savings banks and in 1942 bought by several immigrant families from the Croatian Zagorje. In 1964, a part of the estate and manor were handed over to the management of the Hunting Society “Lukač”. However, renovation of the manor failed and it remained empty, but to these days it has the status of cultural property and is protected as a cultural monument. Up to the 1970’s the manor had a specific purpose and was relatively well maintained. By the mid-eighties it was used as a school attended by children from Kapela Dvor and the nearby villages. In its existence of one hundred year the manor became forgotten, abandoned and devastated. In 2012 Virovitica-Podravina County bought the manor and started the process of its complete renovation which was completed in 2014. Every dreamer knows that it is entirely possible to be homesick for a place you’ve never been to. Kurija Janković is now four stars heritage hotel. It has 18 comfortable double rooms, caffe bar, restaurant, meeting room, conference hall, souvenir shop and bicycles rental. 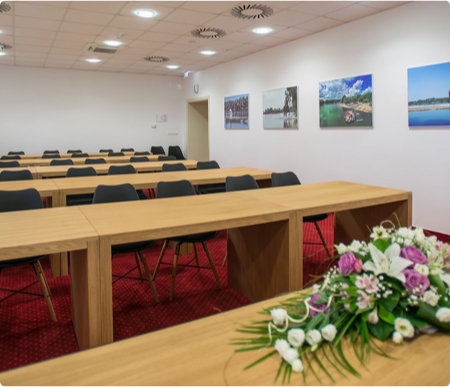 The hotel is located in a place where Slavonia meets Podravina and surrounded by Mura-Drava-Danube UNESCO Biosphere Reserve. Today Kurija Janković is renovated jewel of architectural heritage which grace and elegance are offered in the form of the hotel. The hotel offers rooms in three categories: Standard, Superior and Deluxe. All rooms are equipped with satellite TV, free wireless internet, heating and cooling system, minibar, private safe, telephone, hair dryer and toiletries. 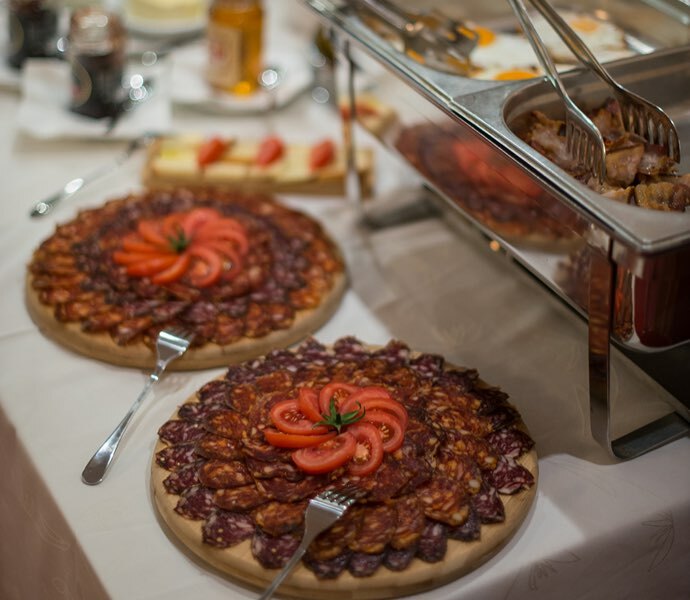 In the hotel restaurant, which has a capacity of 40 seats, hotel guests are served with traditional Slavonia-Podravina breakfast prepared exclusively of locally produced ingredients. All other meals can be arranged according to previous agreement. In the elegant and comfortable atmosphere of our caffe bar you can relax and enjoy alcoholic and non-acoholic drinks, fine wines, aromatic fruit wines and liqueurs, excellent coffee, organic teas and natural juices.